An online business does not mean that all your marketing strategies are just limited to the online world. It’s certainly bigger than that. When you decide to start your e-business, you are actually deciding to opt for something really challenging where you have to focus on online – as well as the offline market to survive. Promoting your website offline is just as important as an online marketing campaign. There are possibilities that your potential customers might not be too frequent users of the internet, exploring much about your niche. How to spread the word to them? Offline Marketing is the only Solution. You need to understand that the URL of your Company (your website/ Blog – I will refer it as your company) is the key feature that needs to be in the limelight, followed by your Niche. The more exposure your URL receives the more traffic you will send to your website. However, it’s a pity that many professional bloggers, sometimes lack in offline marketing of their sites. It’s important to identify the importance that an offline promotion of your website holds. The following are the only practical effective ways that you can use in order to spread the word about your existence. 1. Make a Business Card! Now this one is really an important one and is listed on the top for me. The first thing you give as your identity being a businessman is your Business Card. However, many people who are earning online, forgets about their business identity. It’s a good practice to design and publish your customized business card with proper description of your niche, your URL and some catchy and attractive lines to make people curious about it. always keep some cards with you all the time and don’t forget to hand it over to your friends and people you might even don’t know. Use your cards just like a banner to promote your website and you will see fruitful results along with popularity. Offline marketing is easier than online promotion of your website. Trust me! This is because you don’t have limitations in the physical world. No logins are required, no signups needed to enter for promotions. Use your own belongings, ask your friends to help. For example, you can use your cars, your friend’s vehicles to place a banner or advertisements on them. Now wherever you will go, where ever your car will be parked, your existence is getting advertised. Interesting! You can use stickers and posters with your URL printed and can stick them where ever you want, considering the most of the crowed can turn up. You can ask your family doctors, shopkeepers to place posters and advertise your website on your behalf. Just imagine how much you can make with it! Most of the Businessmen who take their business seriously, use the printed media as an important source of offline Marketing. It’s true that you need to spend some dollars to get your advertisement published in a newspaper or a magazine, but the results are great too. As a first step, you could try running a small advert in the classified section of your local papers. As your traffic and your business grow, you can move on to the larger national papers. Once it starts working out for you, you can plan things accordingly. Radio has always been an interesting source of entertainment for its followers, however if I talk about Pakistan, there was a time few years back when there were only 10% of the people who used to follow Radio. But with time radio has developed itself and now 50% of the total population is linked up with radio, out of which 25% of the audience can turn out to be your potential traffic approximately. Advertising your website can be very effective if you know your niche can attract the class who follows Radio. The most expensive one, yet the most effective one for sure- Television! Advertising about your website on television boosts up your credibility drastically. People follow television like crazy, some for news, some for entertainment, and some for learning the business traits. You can attract all of them all at once. A recent example, I would like to quote here is of www.olx.com, it’s the first website that has advertised in Pakistan Television. This is the reason that every Pakistani who watches television knows about the website and about its basic functionality. It has become the first choice of people when it comes to buying and selling something. People with least interest in online marketing, like my mother, often talk about the site. See, this magic always work! Real people like Real things. If you agree with it, be meek. Give out free items like mugs, pencils, caps, bags, mouse mats, stickers, erasers, notebooks with your Website URL printed on them. You might think that it’s a waste of money – but this thought can only be taken as a person with narrow minded approach. Think bigger dude. You are a businessman now and you will have to use some effective tactics to get a business! Small emerging companies visit our universities and distribute pens, cds, and accessories for free, and that’s the only reason we bother to remember them. Isn’t it? 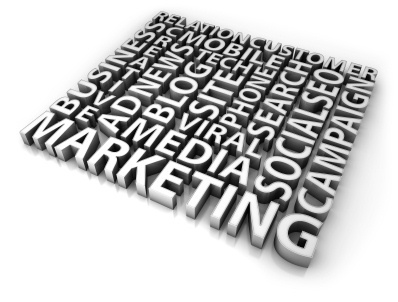 The only person that can do the best job of marketing about your website is you –only! Its you who knows your business the best, so why to remain silent? Don’t lie and cheat your way through as this will come back to haunt you. Be professional, courteous and honest, and the rest will look after itself. If a person likes what you do they will tell six others. If a person is disappointed with what you do, they will tell twenty others. Believing in the power of words, always be wise enough to speak correctly about your website and promote it as much as you can, where ever you can! This was all about the best ways how you can make your website a hit by promoting it offline that is in the real world. I have had been focusing on thinking out of the scope all the time and this one is another example.